I would like to welcome you to our unique website. Anna Maria Island has hundreds of great Vacation Rentals, and I believe we have some of the finest. Please revisit this site often, because we are adding more and more rentals every month. We also offer special discounts. We offer Military and first responder discounts, previous customer discounts, last minute booking and others. Just click yes on any of this discounts that apply and update the price while in the booking process. Not all discounts occur year round, but please give us a call 941-227-1014 and we will help you find and get the best value for what you are seeking, or answer any questions you may. Anna Maria Island is composed of three parts, the City of Anna Maria, the City of Holmes Beach and the City of Bradenton Beach. Each has its own unique environment. Anna Maria has several homes and quaint cottages, it is at the north end of the Island with a City pier for fishing. Holmes Beach is in the center of the Island, with most of Shopping centers, large public beach, and residential homes. Bradenton Beach is at the south end of the Island which is the narrowest part which has several vacation resort rentals, restaurants, all kinds of activities. There is a large variety and assortment of Rentals; such as boats, Seadoo's, bikes, Mopeds, kayaks, and even Segway's. This is an ideal Vacation area, with miles of white sandy beaches, gorgeous sunsets, scenic pathway's, and just hours away from Walt Disney World, Universal Studios, Busch Gardens and many more Theme Parks. There is a free Trolley that can take you all over the Island, and you are just 20 minutes away traveling south on Gulf of Mexico Drive to the famous St. Armand Key. 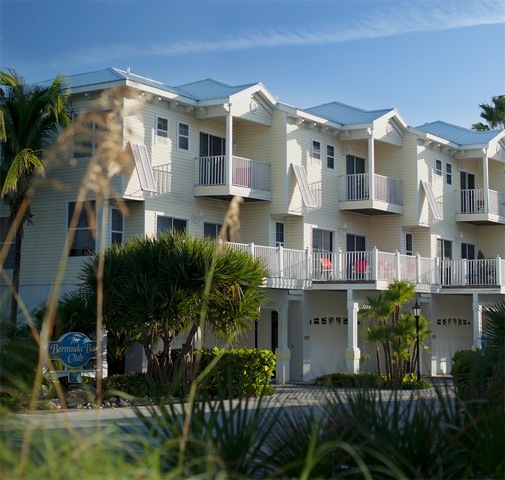 Book today, and once you arrive on Anna Maria Island, you will never want to leave! You will mark it as one of your favorite Florida destinations.